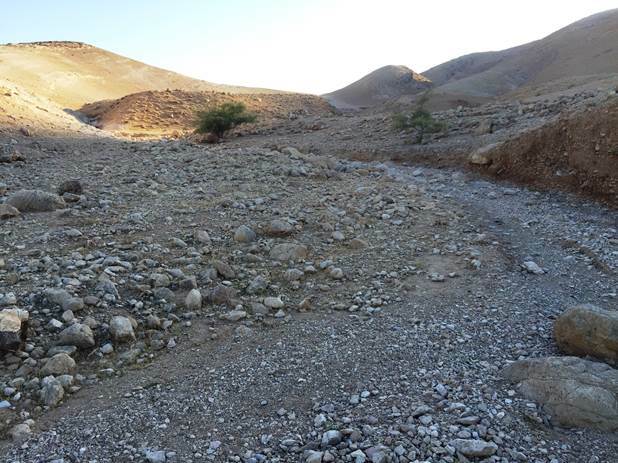 Ralph Hawkins has announced a new excavation to be undertaken at the site of Khirbet el-Mastarah in the Jordan River Valley. The inaugural season will be June 3-30, 2017, and they are looking for volunteers. The dig is part of the newly launched Jordan Valley Excavation Project, co-directed by Ralph Hawkins and David Ben-Shlomo. The project's website provides further information along with this description. The Jordan Valley Excavation Project (JVEP) was launched in 2016 to investigate the ancient history and archaeology of the region of the southern Jordan Valley, with a particular focus on the Iron Age. This period is traditionally connected with a period of tribal settlement in the region, followed by the rise of ethnic states. A thorough survey of the region, conducted by Adam Zertal, revealed a dramatic population shift in this region during the transition from the Late Bronze Age to the beginning of the Iron Age (around 1200 B.C.E.). Whereas there were only seven sites in the region in the Late Bronze Age (1550-1200 B.C.E. ), fifty-four new sites were founded at the beginning of the Iron Age. Zertal proposed that the eastern sites are slightly earlier than the western ones, a phenomenon he attributed to the movements of peoples, whom he identified with the Tribe of Manasseh, from the Transjordan westwards. JVEP’s goals are to test the date and character of some of the sites in the region, as well as Zertal’s interpretations, through archaeological excavation and research. JVEP will conduct excavations at two sample sites, beginning with Khirbet el-Mastarah, in the eastern part of the region, where at least three years of excavation will be conducted. After that, an additional site will be chosen in the western part of the region, which will likewise be excavated for several seasons. The evidence from these (possibly) single-period sites may shed a great deal of light on the settlement of the tribal peoples living in the region during the Iron Age. Khirbet el-Mastarah is the low mound illuminated by sunlight behind the tree. Map showing location of Khirbet el-Mastarah relative to Jericho and Shechem. 2004 The Manasseh Hill Country Survey, Volume 1: The Shechem Syncline. Culture and History of the Ancient Near East 21.1. Leiden: Brill. 2007 The Manasseh Hill Country Survey, Volume 2: The Eastern Valleys and the Fringes of the Desert. Culture and History of the Ancient Near East 21.2. Leiden: Brill. Zertal, Adam, and Nivi Mirkam. 2016 The Manasseh Hill Country Survey, Volume 3: From Nahal ʿIron to Nahal Shechem. Culture and History of the Ancient Near East 21.3. Leiden: Brill. Some preliminary reports on two Iron Age sites were published by Zertal in the below articles. Zertal, Adam, and Dror Ben-Yosef. 2009 “Bedhat esh-Shaʿab: An Iron Age I Enclosure in the Jordan Valley.” Pp. 517-529 in Exploring the Longue Durée: Essays in Honor of Lawrence E. Stager. Ed. J. D. Schloen. Winona Lake: Eisenbrauns. Zertal, Adam; Dror Ben-Yosef; Oren Cohen; and Ron Beʾeri. 2009 “Kh. ʿAujah el-Foqa (North) — An Iron Age Fortified City in the Jordan Valley.” Palestine Exploration Quarterly 141/2: 104–123. UPDATE: The Jordan Valley Excavation Project also has a Facebook page.